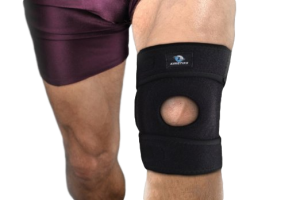 Finding the Best Knee Brace for Chondromalacia is easier than you think. 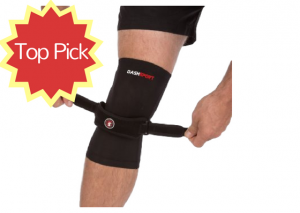 Here’s a rundown of our favorites, including our top pick – DashSport Knee System. Chondromalacia is one of the most common causes of knee pain, and a condition that I’ve dealt with first hand over the last year. Also known as “runner’s knee,” chondromalacia occurs when the cartilage on the under surface of the patella (kneecap) begins to soften and deteriorate according to Mayo Clinic. This condition generally presents with general knee pain, known as patellofemoral pain. Some individuals may experience cracking or grinding sensations when extending or bending their knee. I notice the worse pain occurs when standing for a prolonged period of time due to the pressure placed on the knee region. While the cartilage damage caused by chondromalacia will usually repair itself with adequate rest and icing, stabilization plays a major role in recovery. My doctor recommended the use of a knee brace to help reduce pain and keep the knee cap centered for faster healing. 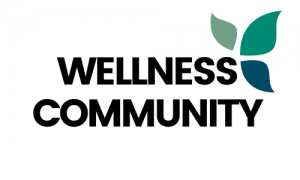 While in search of the best knee brace for chondromalacia, I’ve discovered several products that worked exceptionally well to eliminate my inflammation and discomfort, while also stimulating healing of the damaged cartilage. Before I get to my top picks, first let’s look at what’s important when shopping. Type: You’ll want to look at the types of braces available to find one that will benefit the damaged cartilage in your knee. The four most common types include sleeves, stabilizers, supports, and hinges. Style: There are two basic styles of knee braces: wrap-around and slip on. Wrap-around knee braces can be placed behind or in front of the knee and adjusted with straps. Slip on braces simply slip on over the foot and up to the knee region. Patella: Another common feature of knee braces is open and closed patella’s. Both open and closed patella designs are suitable for individuals with chondromalacia as they both work to provide extra compression to the knee. Size: Size is an important feature when shopping for the best knee brace for chondromalacia. You want your brace to fit firmly but not be too tight that it interferes with the healing process or causes more pain. Here are the top knee braces for Chondromalacia based on quality and user experience. Wearing a knee brace for chondromalacia helps to align the patella and absorb shock. I found the DashSport Knee System to provide the support, stabilization, and compression needed to eliminate my knee pain on a day-to-day basis. What makes this product unique is its targeted compression that provides relief in painful areas. Everything you need to relieve your knee pain is in this convenient package, including a premium Copper Compression Sleeve and a premium Patella Knee Brace. 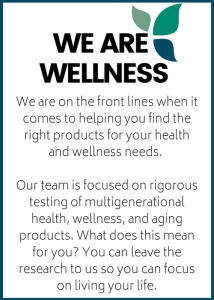 These two components are designed to work together to eliminate stress off of the damaged cartilage and minimize associated discomfort. My new “go to” knee support! While I was lounging around the house, I didn’t feel I needed a full, bulky knee brace. 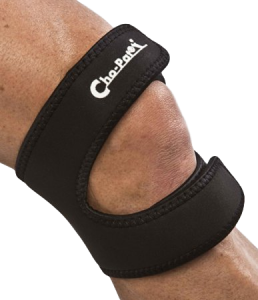 For home use, I found the best knee brace for chondromalacia to be the Cho-Pat Dual Action Knee Strap. Its simplistic design provides the user with comfort, while still doing its job to protect and stabilize the knee. This unique knee brace offers dynamic pain diffusion in two ways. The above the knee support reduces the force of quad muscles which lessens your risk for misalignment. The below the knee support works by applying targeted pressure to the patellar tendon which helps to tighten and stabilize the kneecap mechanism. If you’re looking for rapid pain relief from chondromalacia, bursitis, tendonitis, or other knee issues, this next knee brace is for you. After trying the Kinetiks Best Choice Knee Brace Support, my pain nearly diminished. This may be due to the brace’s cutting-edge heat retaining neoprene that offers less irritation to the skin and faster knee recovery. The knee brace is specifically engineered to provide the user with the ideal balance of flexibility, safety, and stability. It’s also simple to use. Just align the padded gel movement-restricting ring around your kneecap to achieve all day comfort. Customize the fit by adjusting the three straps and five Velcro knee brace tabs until secure. It’s not always easy to find a knee brace specifically designed for individuals suffering from chondromalacia. The Chondromalacia Knee Brace for Patellofemoral Pain by Brace Ability delivered on its promise of relieving my pain and instability. 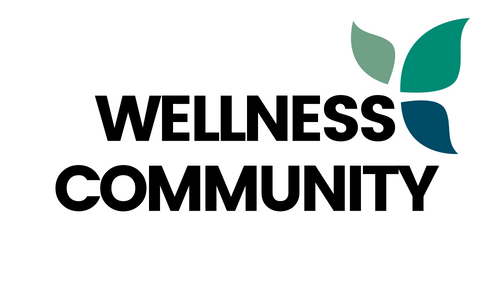 Its light compression helped to instantly reduce inflammation while promoting healing. What really makes it the best knee brace for chondromalacia is its open patella design that helps to support the patellar joint while keeping the kneecap aligned. The brace is constructed of a lightweight material that makes it comfortable while lounging around at home or while at work or doing physical activities. 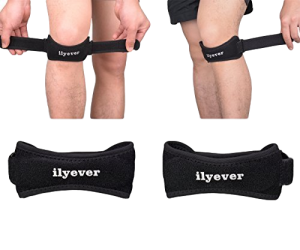 If you want a knee brace that doesn’t look like your typical bulky brace, I recommend the Ilyever Knee Support Brace Pads. These universal size knee pads are specifically designed for patella support and are fully adjustable so that you can find a fit that is most comfortable for you. The loop lock design allows for the flexible movement of the joint while protecting the damaged cartilage from harmful mobilization. Comfort is key when you have to wear a brace for an extended period of time, and this brace is perfect for daily wear. Built from a soft, breathable, and premium material, the strap offers a comfy, non-irritating fit.